Based in Houston, Texas, Hendershot, Cannon & Hisey, P.C. is a team of skilled Business Law, Health Care Law, and Family Law lawyers dedicated to strategic, creative and aggressive advocacy. From complex litigation, business transactions, health care law, and OSHA to a diverse divorce and family law practice, we focus on tailoring our services and strategies to our clients’ unique needs and goals. 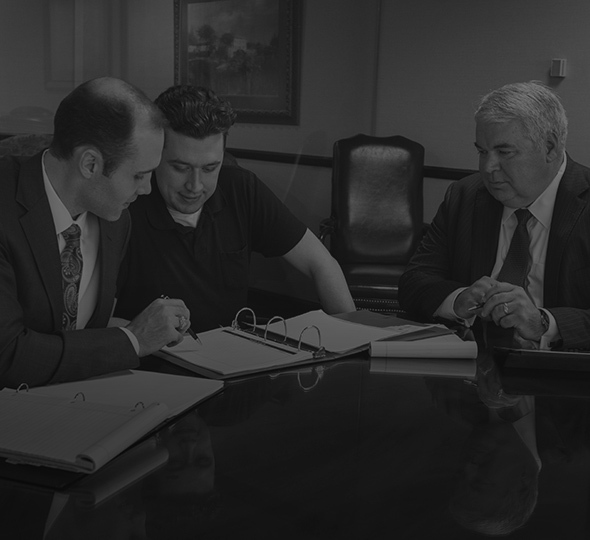 Whether it be a business or family law matter, we know success is predicated by customized counsel, extensive legal knowledge, and being more prepared than your opponent. Founded in 1987, our Business, Health, Family, and Divorce attorneys leverage more than 130 years of collective experience to guide clients across Texas, and the U.S., through complex legal matters in a range of industries. "I needed a divorce attorney & I was lead to the best in Houston. I worked directly with Lennea Cannon. She is sincere, attentive & extremely professional. She keeps you updated explaining the process and sees you through to the very end making it the best experience you can go through although its a tough time in your personal life. I appreciate the heartfelt conversations & support as she gathered information. I will recommend Kerr, Hendershot & Cannon for years to come. Their commitment & work shows you got the right attorney!" "We had to hire lawyers to finish a divorce QDRO from 20 years ago. This law firm was the most pleasant legal experience we have ever had, the courtesy, competent, efficient, excellent staff was AWESOME to work with, Lori Blackwell, Holly, and all the others that answered emails, questions, can't say enough kind words about this team of experts, would gladly refer to anyone who needs great, honest, efficient lawyers. Thanks to everyone, it's gratefully appreciated." "I picked Lennea to represent me in my child custody/modification case after reading reviews about several lawyers online. I was very particular as I have had a few dissatisfying experiences with lawyers. Lennea is very well rounded: knowledgeable, responsive, careful, insightful, professional, and caring. She works for a big law firm, yet was very accessible by email, making sure she was familiar with all the details of my case. Custody battles are an emotional roller coaster, and that is why I was pleased to have someone as grounded as Lennea looking out for my child's future!" "Thank you very much for your help, advise, and guidance...given the situation. You and your firm have been very helpful since day one. All my questions were answered. Not having gone through this, and not knowing what to expect, your help was given to me in ways I could understand clearly and accurately. I am very appreciative about that. My family and I are very pleased with the outcome. If I happen to come across anyone who needs someone to represent them in these rough family situations, I will definitely recommend you and your firm and send them your way." "I just wanted to take a moment to thank you and your firm for your work on my recent divorce. Your professionalism and thorough handling of my case was so appreciated and very refreshing. You did your homework better than I had and truly opened my eyes to things I would have missed without your attention to detail. We prepared for the worst, hoped for the best and quite frankly, ended up as close to the best as could have been achieved. Beyond the great job you did though and perhaps the most important aspect of my want to say thank you is how I feel now and how I felt in your office. This brutal thing of divorce is tough and quite frankly, something I never want to go through again but y'all softened the blow for me through your care, concern, friendship and support. I've dealt with your firm forever it seems and the personal touch and caring way of it continues in you, Trey, Ms. Lori and all who I dealt with. Again, thank you so very much for your work on my case but more than that, for caring about me." "I would highly recommend Ms. Cannon. She has such a profound knowledge of family law, she puts your fears at ease. Divorce, child custody or whatever the issue may be, Ms. Cannon will make you feel like you are her only client. Ms. Cannon represented me in a child custody issue I was having with my ex-husband. I obtained full custody (thanks to Lennea) of my daughter and the hearing could not have gone any smoother. She was prompt in responding to my emails regarding my case in a professional and truthful manner. If my rate scale is between 1 and 10, I give her an 11. I have nothing negative to say about Ms. Cannon. She is professional in every aspect and keeps you thoroughly updated on the status of your case." "Attorney Cannon handled my enforcement case against my ex-husband to obtain my portion of his military retirement awarded to me. She was extremely professional and polite to me and my ex-husband. She is very precise about the information given and also suggestions. Whenever I call or email her she responds promptly. I am very pleased with having Attorney Cannon as my attorney. She has a demeanor that is very positive and comfortable to be in her presence, I also don't have a problem sharing information with her. Attorney Cannon is wonderful!" "Lennea Cannon handled my family law modification case. When meeting with Lennea I never got any bad vibes on being judged on my financial capabilities and my race like some attorneys have done from my previous experiences. She listened to my needs and concerns and answered all my questions. She is a very honest keep it real attorney. As far as my case Lennea and her associates work really hard on my case to no discrimination. I did not have to tell them what to do or what moves to make. They notified me in a timely fashion on any information. When it came down to court Lennea worked hard for me and I was granted everything that I requested. Lennea has a wonderful personality and a kind soul. Her associates and everyone in her office have such great customer service. I highly recommend her services to anyone who has a family law case." "Lennea Cannon with Hendershot, Cannon & Hisey, is a professional who goes above and beyond for her clients. I am writing this praise before the outcome of my case because I firmly believe no one else could have been more prepared, knowledgeable or compassionate. This is round 2 with my ex. She gave me the strength to stand up and fight back for my children. The decision is up to the judge...but I can walk away with my head held high and knowing God sent me an angel in Lennea Cannon. I pray no one here needs her services, but if you or someone you love does...SHE IS THE BEST!!!" "Our firm defended a client against a forced business sale. The client's response: Thank you Trey for your help throughout this process. Having you on our team was an integral part of our success from start to finish. Thank you for fighting for us and with us. Whoever brought you on board must be pretty smart! Oh wait....that's me! Great job, Trey! I look forward to the future!" "Brazoria County Alternative Academy or BCAA as we are commonly referred has enjoyed a results oriented professional relationship with HCH. They have provided and continue to provide stellar legal counsel and representation in an array of areas that our organization does business. Specifically Mr. Ben Hisey has negotiated and represented us in major areas of our business and the communication he provides us has proven to be invaluable as our organization expands. thank you!! bcaa Board of directors"
- Brazoria County alternative academy, inc.
"Excellent representation, timely follow-up and counsel. professional, ethical, client-focused team. understands what their clients are facing and provides guidance accordingly." "Lennea, thank you so much for representing me on my modification case. My child's father isn't exactly a stand-out guy and he's pretty nifty at cutting corners and cheating the system. But not on your watch. From mediation to negotiations to getting my case ready for trial - you've truly fought for the best interest of my family and I'm so grateful for your help and guidance." "Yoka worked closely with me during my divorce to make sure the welfare of my child was foremost and protected my assets. She was very honest and open during the whole process and in the end brought about a swift conclusion that was very satisfactory." "I worked with Lori through my divorce case. She was always responsive and very knowledgeable. Even when there were things I did not want to hear, she was able to communicate them well and remained understanding about how I was feeling." "Ms. Blackwell recently represented me in a family lawsuit. I researched a number of family law firms in Harris County, TX. In particular, I was looking for a family lawyer specializing in complicated property division. After narrowing down my search to a dozen family lawyers specializing in property division, I spoke with each of them on the phone and Ms. Blackwell stood out as the one with the best knowledge in this area. I decided to choose Ms. Blackwell to help me with the case, and that turned out to be a great decision. Ms. Blackwell is professional, very knowledgeable, and very responsive. I highly recommend her for anyone in need of a good family lawyer." "My husband and I first hired a different attorney in a contentious visitation case. After beginning to lose hope for a solution, we hired Lennea. She quickly helped us reach a settlement and a plan we are so happy with and works for both parties. I recommend her for not only her skills but knowing you are in the hands of a good person." "I interviewed a number of attorneys before choosing Lennea. Lennea does a great job of helping to keep the end in mind when going through what it is a very emotionally charged area. Lennea was excellent and got me through my divorce quickly. I have 3 kids. I wanted extra custody. Despite a pretty unsuccessful mediation procedure, we were able to move forward and get the best result possible. I would recommend Lennea to anybody that has reached this point in their life." "Reached out to Lennea for a Grandparent Visitation issue. I couldn't be more pleased with her service, eagerness and knowledge of the law. Lennea had reviewed my circumstance prior to my 1st consultation meeting and had a strategy already. If you are in need of legal representation I would look no further, this is by far the firm for you. Hat's off Lennea, you can add this to your win list!!!!" "Extremely professional, knowledgeable, and very timely in all consultations. I would definitely recommend, it was a pleasure to work with her." "Lennea worked on my case in excess of one year, and took the time to investigate endless lies, manipulations, and misrepresentations about me and my kids to come to a reasonable parenting solution. It did take longer than I would like for those things to be found out, but my case was complicated and her sticking through with an open mind made the difference. She was professional during the entire process and my kids are in excellent shape and protected from the bad things that were happening to them." "Знакомства в Москве. Сайт знакомств в Москве бесплатно, без регистрации, для серьезных отношений. [url=https://loveawake.ru/znakomstva/moskva]Click here>>>[/url]"
"We needed an attorney for a custody case involving our grandson. This law firm came highly recommended by a firm my husband had dealt with for years in business. Let me say that Lori Blackwell is absolutely amazing! Our daughter loved her and felt comfortable and thanks to her the case did not go past mediation. Thanks HCH and even more to Lori and her staff!" "Going through a divorce and having to negotiate child custody is a painful and stressing situation to begin with, but not having the right lawyer on your side can make an already bad situation worse. Lori Blackwell is definitely someone you want on your side! She worked consistently to ensure that my rights as a father were acknowledged and preserved. I can't possibly thank her enough for what she has done for my family." "Yoka Larasati is one of my go to Family Law Lawyers in Texas. I feel very comfortable sending clients and even friends/family to Yoka whenever they have questions or find themselves in a situation where they need legal help." "Lennea is incredible! She helped me to win a custody case, she is the 4th attorney over the years that I have hired and until her I never felt like anyone had my best interest at heart or that they were working strictly for me. I will refer her to anyone that I hear of needing a great attorney." "Lori was understanding, knowledgeable and professional. I am so thankful for her and this firm is better for having her as a part of their team. This was a win for her, myself, but mostly my two beautiful children. For that, I will forever be grateful for her fight." "Thank you very much for helping my client. I found your firm online and spoke with Ray over the phone for the first time and find out immediately it was the right firm for my client. My client was very happy with Ray and all your staff. We appreciate your hard work and understanding since for immigrants it’s not easy to understand the legal system, especially with the language barrier. YOU ARE AWESOME ATTORNEYS! THANK YOU!" "Wonderful group of people ready to serve and assist clients in their time of need. Cannot say enough good things about this firm...especially Trey Hendershot and Lennea Cannon." "I want you to know how much I appreciate you Leanna (and Mary!) and how thankful I am that I was referred to you. It’s been a lot of work on your end and I know that and it does not go unnoticed or unappreciated. Thank you again from the bottom of my heart!" "Lori, thank you. You are an awesome attorney and really helped me understand what my rights were, what I did and didn't have to tolerate from her, and that there was some hope for getting through everything and getting it settled. I'll happily recommend you to anyone I know who needs services like that." Our entire staff makes it a point to know who you are and what you need. We communicate with our clients often, building relationships that last for years. While many people come to us with a single problem, the relationships we build make it easy for them to come to us again and again for any issues they are facing. Reasons To Work With Hendershot, Cannon & Hisey, P.C. Be it Business Law, Medical Law, or Family Law, quality legal representation doesn’t simply provide you with a solution to the problem’s you face today – it delivers the strategic counsel and tools needed to facilitate future success. Whether that means protecting your future financial solvency and familial relationships in matters of divorce or child custody, ensuring regulatory compliance with OSHA or healthcare industry standards, or creating a corporate structure and contractual agreements that provide a foundation to protect your interests well into the future, our firm stands ready to deliver the honest and insight-driven counsel you need.